One of the more iconic points of interest on the Palos Verdes Peninsula is the Point Vicente Lighthouse. 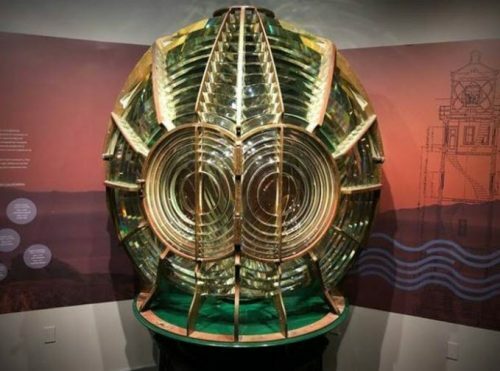 There’s lots of history here and one item of note is the historic Fresnel lens. The other item now on exhibit relates to a piece of history that most of us would consider barbaric and that’s the whale hunting period off the Palos Verdes coast. In fact, Portuguese Bend gets its name from the fact that Portuguese Whalers hunted and butchered the wales in the cove there. The exhibit is an exploration of the whaling industry during the late 1800s. Where was the Fesnel lens made? Paris, France in 1914 and it first brightly shined on April 14, 1926. The light could be seen 20 miles out into the ocean. Of no surprise, the light was dimmed during World War II. In February 2019 the United States Coast Guard decommissioned the lens; in its place, LED technology. Portuguese whalers operated in Palos Verdes from 1869 through 1885. You will be able to see a replica of a whaling shack and a variety of whaling tools from the tip. Based on information from California Regional Multiple Listing Service, Inc. as of April 24, 2019 22:26 and/or other sources. All data, including all measurements and calculations of area, is obtained from various sources and has not been, and will not be, verified by broker or MLS. All information should be independently reviewed and verified for accuracy. Properties may or may not be listed by the office/agent presenting the information.